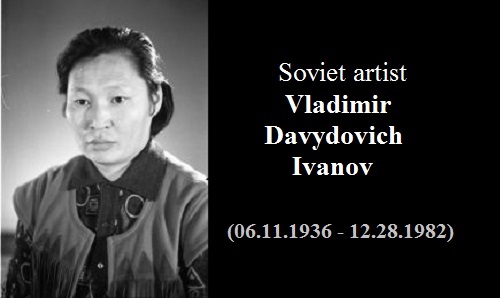 Soviet artist Vladimir Davydovich Ivanov (06.11.1936 – 12.28.1982) was a theater artist, an honored Artist of the Yakut Autonomous Soviet Socialist Republic, Member of the Union of Artists of the USSR since 1970. Vladimir Ivanov was born in 1936 in Upper Orosun nasleg of Vilyui of Yakut ASSR. 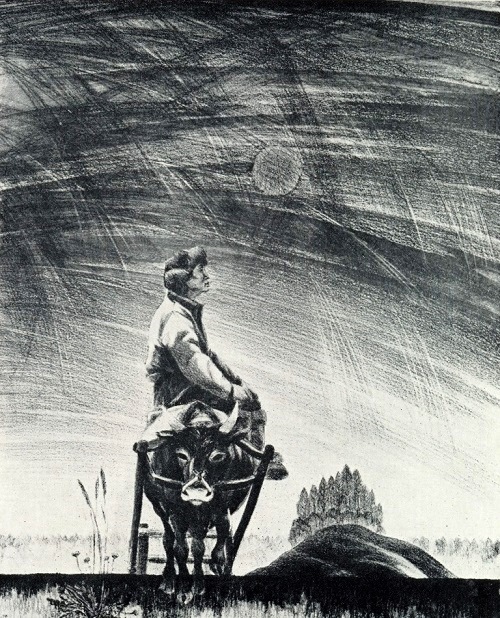 In 1958 he graduated from the Yakut art school, in 1964 – theatrical decorative department of the Leningrad State Institute of Theatre, Music and Cinematography. From 1964 – 1967, he worked as the main artist of the Yakut State Music and Drama Theatre. 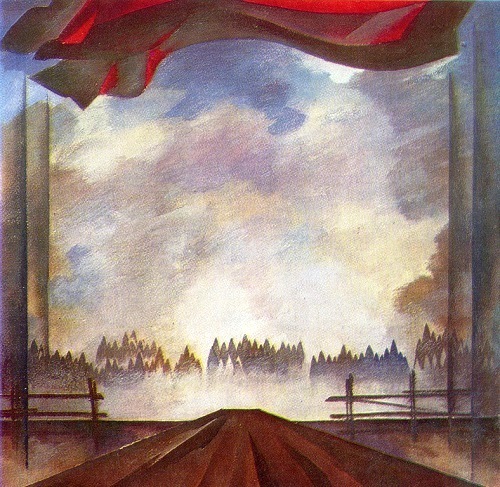 He has created several stage designs for plays and performances. 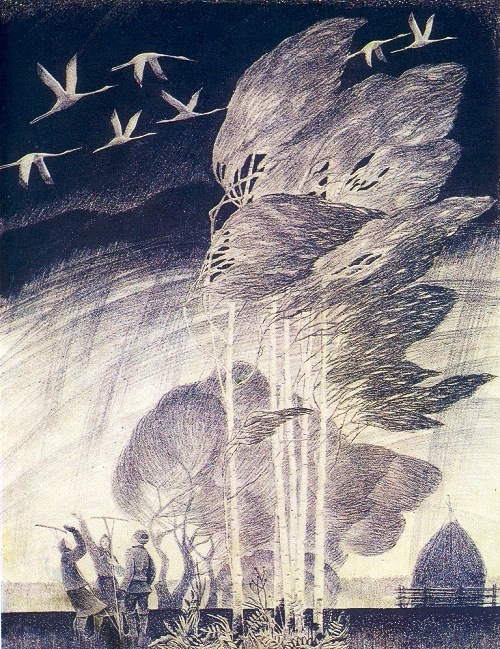 In addition to design theatrical performances, Vladimir Ivanov is the author of works: easel painting in the technique of auto-lithograph – “Portrait of Anna” (1970), “Winter” (1970), “Self Portrait” (1972), a series of “Fighting Years” (1973-1974) triptych “Spring” (1974), a triptych “Summer” (1976), “When it’s minus 50” (1975), “Yakut Still Life” (1978); illustrated book “Anthology of the Yakut poetry” (1967), “Favorites, in two volumes,” by S. Danilov (1977), a poster “50 years of YASSR” (1972). Theatrical works of Vladimir Ivanov include stage designs for plays “Who is guilty?” (1964), “Red Shaman” (1964), “The Fox and the Grapes” (“Aesop”) (1965), “Mother’s field” (Aitmatov, 1965), “Othello” and “Macbeth” (William Shakespeare, 1966, 1974), “Front” (A. Korneichuk, 1975), “Soldier’s Heart” and “Morning of the Lena” (Ivan Gogolev, 1975, 1978), “The game of life” (A. Sofronov), “Marykchansk guys” (E.Eristin, 1978), “And the day will come tomorrow” (Danilov, 1979), “Minutes of meeting” (A. Gelman, 1976), “The Quiet Don” (Mikhail Sholokhov, 1980), “Brothers” (Yefremov, 1980), “Proseka” (N. Gabyshev, 1982). 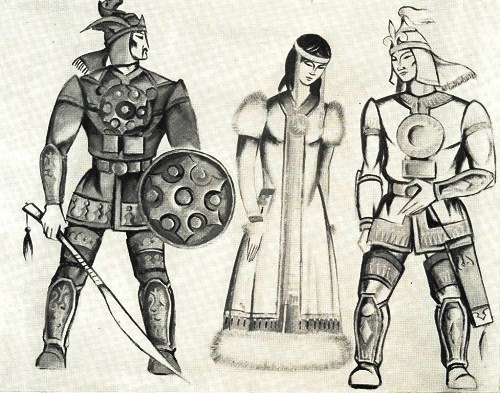 Vladimir Ivanov made costumes for “Estrada of Yakutia” (1972), Costumes for State dance Ensemble of Yakutia (1980), and costumes for the National drama school (1980), Yakut costumes for the “Expo 70”.